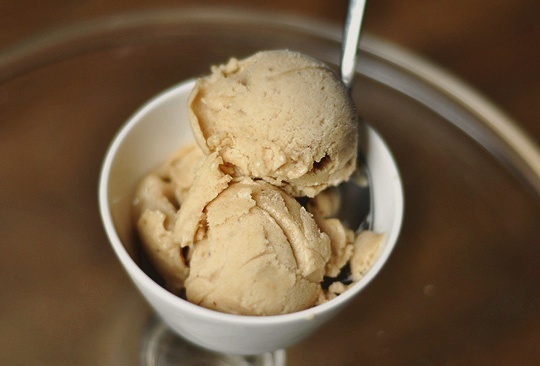 Enjoy these Banana Ice Cream Recipes made with ripe bananas for the great natural smooth taste! In a saucepan, combine the milk, cream, eggs, sugar and salt. Cook and stir over low heat until mixture thickens slightly and coats the back of a spoon. Refrigerate the mixture until cool. Combine the cooled custard with the bananas, vanilla and nutmeg. Pour into freezer container. Freeze according to manufacturer’s instructions. The riper the bananas, the more flavor. Working quickly to keep the bananas from darkening, peel and place them in a food processor with the lemon juice. puree until smooth. You should have about 2 cups of puree. Stir in the simple syrup, then the cream. Pour the mixture into the bowl of the machine and freeze. Makes about 1 quart.